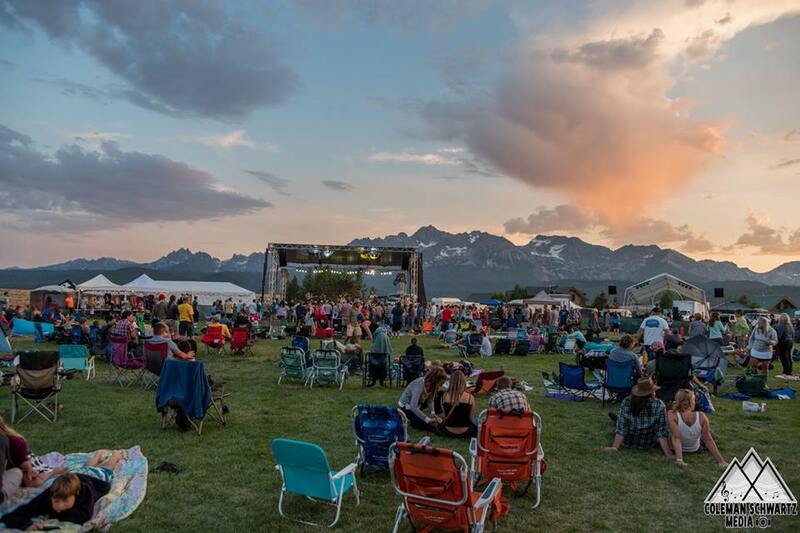 Located in the breathtaking Sawtooth Range of the Rocky Mountains, Sawtooth Valley Gathering is one of the more beautiful festivals I’ve ever been to. Jagged cliffs flank one side of the grounds as desert hills roll alongside the other. Streams and rivers can be seen in every direction, each of which make for great places to take a quick dip in between sets. The market, grocery store, and bar (where late night shows are held) are only a short walk from your campsite, just beyond the ice cream shop and several restaurants you pass on your way down the hill. Of course, the beauty and convenience aren’t all that make this a wonderful festival. Their keen ear for booking rising acts and the wholesome vibe they curate solidify it as one of the best small festivals in the Northwest. Bamboozle began the festivities on the main stage, providing a plethora of funky jams before High Mtn Heard’s stripped-down honky tonk rock’n’roll kicked off an onslaught of strings that would rule the majority of the festival from that point on. Quirky singer-songwriter, John Craigie, fresh off of an appearance with Jack Johnson at the Gorge, played next and began Portland’s Friday night takeover of the Sawtooths. Craigie is a uniquely entertaining storyteller, much in the same vein of fellow Portlander Todd Snider’s humorous folk stylings. Thistledown followed on the side stage, ripe with more strings and pleasant harmonies before another Portland act, Brad Parsons Band, took the main stage. Parsons was generally known as more of a singer-songwriter type, but the band that he has put together is one hundred percent rock’n’roll. 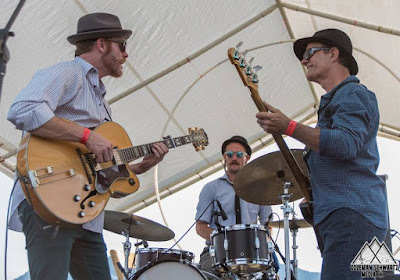 Both Parsons and fellow guitarist Dylan DiSalvio shred their instruments and their set even featured an exciting sit-in from the festival’s artist-at-large, Allie Kral, of Yonder Mountain String Band. The fiery and flamboyant flat-picking phenom, Billy Strings, took the stage next and quickly showed why he’s become the hottest young name in bluegrass, opening with a high-energy cover of The Stanley Brothers’ “Little Maggie” before following it up with a newer original tune, “While I’m Waiting Here.” His songwriting has become the most impressive aspect of his show for me recently after seeing him play mainly covers and traditional songs at first. Everybody knew he was talented, both instrumentally and vocally. What most people didn’t realize yet was how good of a songwriter he is. “While I’m Waiting Here” is a prime example of his wise beyond the years songwriting, focusing on the idea of an inmate whose only real concern about his sentence is whether or not his better half will wait for him until he gets out. 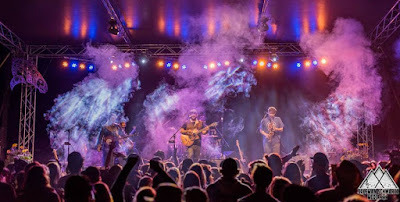 “Turmoil & Tinfoil,” the spooky doomgrass title track off of his upcoming debut album preceded a cover of Greensky Bluegrass’s “A Letter To Seymour,” whose familiarity got anybody up dancing who wasn’t already. The true highlight of the set though, was the abrasively psychedelic fifteen minute “Meet Me At The Creek” that left us adults dumbfounded and the children frightened. Portland’s Yak Attack played the side stage and showed why they not only deserve a main stage slot next time, but why they’re the hottest band in the Pacific Northwest jam scene right now. Their organic brand of electronica doesn’t necessarily scream jam band, but their ever-changing setlists, exploratory yet efficient improvisation, and ability to effortlessly blend genres together beg to differ. Allie Kral joined the band for some “yakgrass” as it has been affectionately dubbed, ironically opting to go with one of the most downtempo songs in their catalogue, “Jellied Fire.” Make no mistake though, the energy was all there and the song left the boundaries of its typical progression to initiate the spaciest, most mind-bending take on yakgrass yet. “Ahimsa” closed the set with Kral and brought the tempo back up one last time in what was undoubtedly the most high energy set of the weekend as far as crowd participation is concerned. The official late night set was held at the Mountain Village Lodge, a bar at the bottom of the hill. It was labeled as a “Sawtooth Surprise” and my curiosity got the best of me so I made my way down the hill, toward the bar. 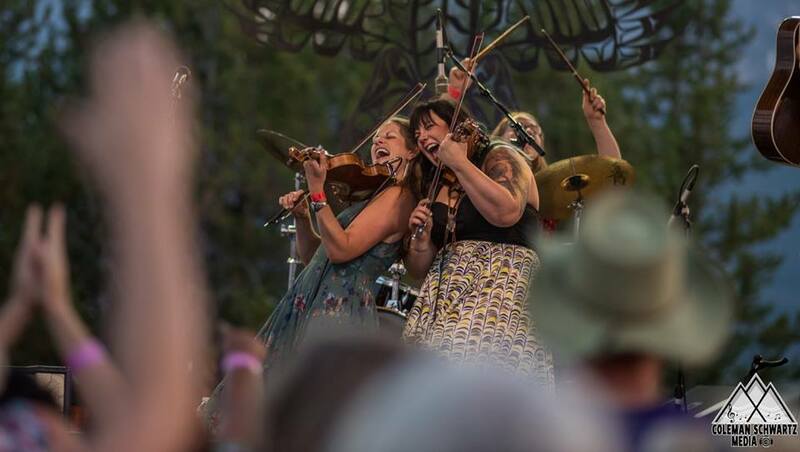 The surprise ended up being the Dead Winter Carpenters, one of the young festival’s few past headliners and a band that was scheduled to play again on Saturday. A couple members of the Brothers Comatose, also playing Saturday, sat in during the middle of Dead Winter’s set and rocked that tiny, packed mountain bar until it was time for us to wander back up the hill, which had become a bit chilly by this point in the night. Holus Bolus kicked off Saturday’s music schedule and was the most pleasantly surprising act of the festival for me. Having never heard of him, I woke up to his music Saturday morning and thought at first that it was just a campsite next to me playing some old Jerry Garcia & Merl Saunders. After soon realizing that it was a little too spacey and modern sounding to be Jerry & Merl, I got out of my tent and saw that it was actually just a one man band. Self-described as “One-Man-Psychedelic-Acousti-loop” and acoustic psychedelic groove-rock, he’s not easy to peg down, but that gives you the jist. Everything is done with his guitar, some foot pedals, and a small drum-kit, but was still somehow enough to convince me I had been listening to people playing a full band through their campsite speakers. After his set, we decided to take advantage of the wonderful nature we were surrounded by and go for a quick swim. We could see multiple streams from our campsite so there was a decision to be made and after a recommendation from our neighbors, we eventually chose a river less than a mile from the venue. The river was serene and exactly what we needed after a day of dancing and driving nine hours to the festival (which was worth it, if you’re curious.) There was just one other group of people down at the water, a young family who were also there for the festival. While Sawtooth is a small festival, it’s important to keep in mind that the town of Stanley has a population of around sixty people so the vibe and effects of the festival are strongly felt while in town. The venue itself is actually directly in the middle of the mountain town’s downtown area. A couple of americana bands played the first sets after we returned to the festival. Sheep Bridge Jumpers were a little quieter and on the jug band side while Tylor & The Train Robbers possessed a bit more of an amped up honky tonk feel. The afternoon then took an unexpected, but not necessarily unappreciated turn toward reggae for a couple hours with sets from Voice Of Reason and Pause For The Cause. Three On The Tree, an acoustic trio featuring the great Scott Law, as well as Greg Loiacono (The Mother Hips) on guitar, and Brian Rashap on bass, set the tone for another string-filled night. A sit in from, you guessed it, Allie Kral made for the most exciting part of the set. I’d worry that I’m beginning to sound like a broken record, but it’s important that I over-mention her name because she was everywhere, all weekend long. 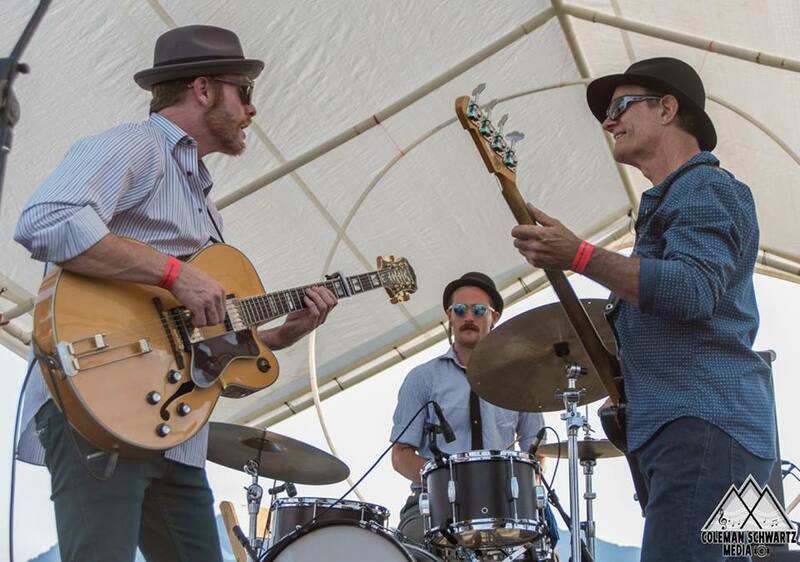 The funky, yet twangy Free Peoples followed on the side stage and may be even tougher to peg than World’s Finest. Self-described as “intergalactic afro-cowboy world beat,” they bounced, somewhat flawlessly, between spaced out twang and percussive afro-funk with a horn section. The second Dead Winter Carpenters set of the weekend was a scorcher to say the least. Very impressive from start to finish and of course, the inevitable Allie Kral sit-in boosted it over the top. For the first time all weekend she was locked in a fiddle duel and it was Dead Winter’s Jenni Charles who stepped up to take her on. “Cabin Fever” was one of the most impressive jams of the festival and I was most surprised with the versatility of the band as they alternated seamlessly between frantic-paced bluegrass, half-time doom metal breakdowns, and then back again. Another Brad Parsons Band set followed, although this one was more of a superjam featuring Parsons’s band, Johnathon Warren and the Billygoats, and you already know which fiddle player. The jam ended up being one of my favorite sets of the weekend as everybody on stage was clearly enjoying themselves which is infectious when mixed with good tunes. The Brothers Comatose closed out the main stage and their high-energy show was anything but comatose. 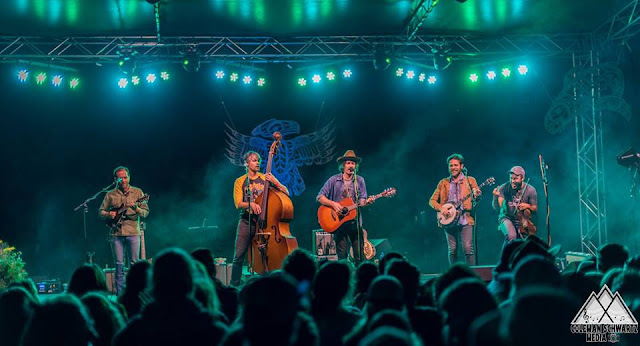 Led by brothers Ben (guitar) and Alex Morrison (banjo), the band employs a fast-paced style of americana that I’m inexplicably apprehensive about calling bluegrass. It’s not because they can’t pick, because they can. 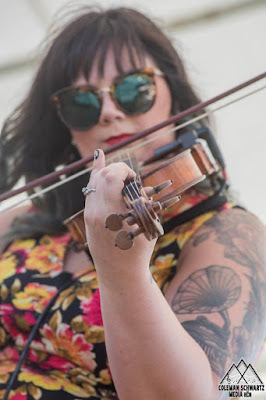 It’s more so because their style leans closer to contemporary indie folk-rock than Bill Monroe or Ralph Stanley, although their respect for the genre’s tradition remains apparent. I made my way down to the bar for the final late night of the weekend. Boise’s progressive funk and jam band, Jupiter Holiday, was playing and were a pleasant surprise for my first time seeing them. Synth-heavy and trancey at times while prog-rock shreddy at others, they were a refreshing change of pace from the rest of the festival’s line up. We stayed until the bitter end and took one last walk through Stanley, up the hill towards Idaho’s best kept secret, the Sawtooth Valley Gathering.